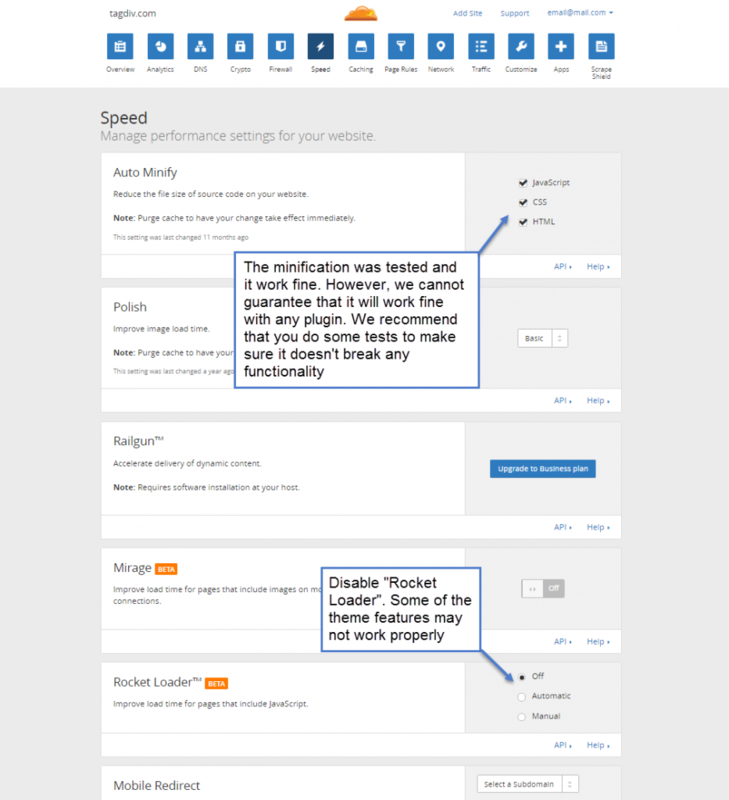 Cloudflare is a free CDN service which speeds up your website. It caches the heavy resources present on your site and it delivers them to your visitors from servers spread around the globe. 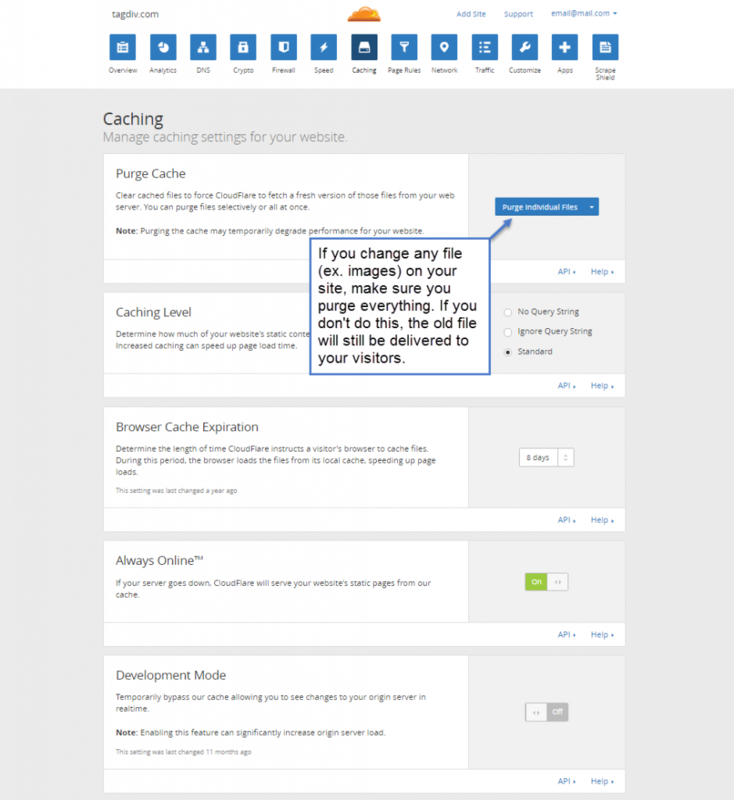 In this guide, we will present how to configure this service in order to obtain the best results with our themes. 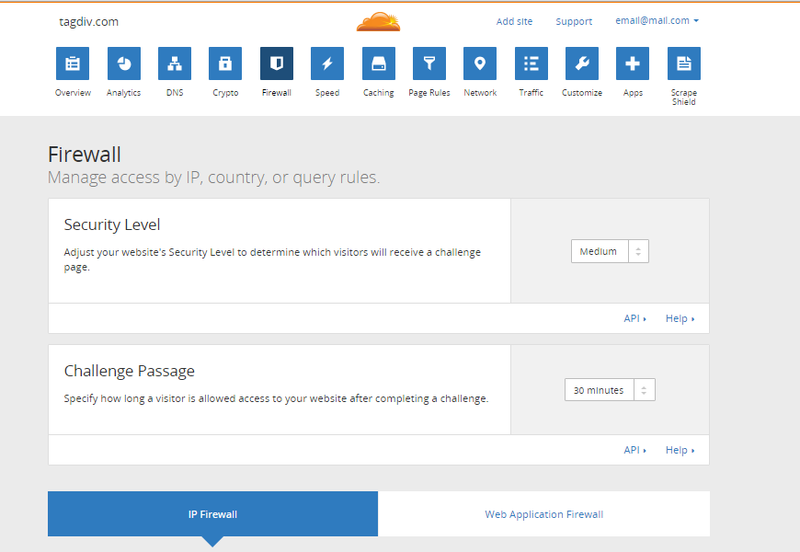 the Firewall section allows you to set the security level and to set access rules for certain IPs or countries. Note – This guide presents our case and for other situations, it may not be optimal. 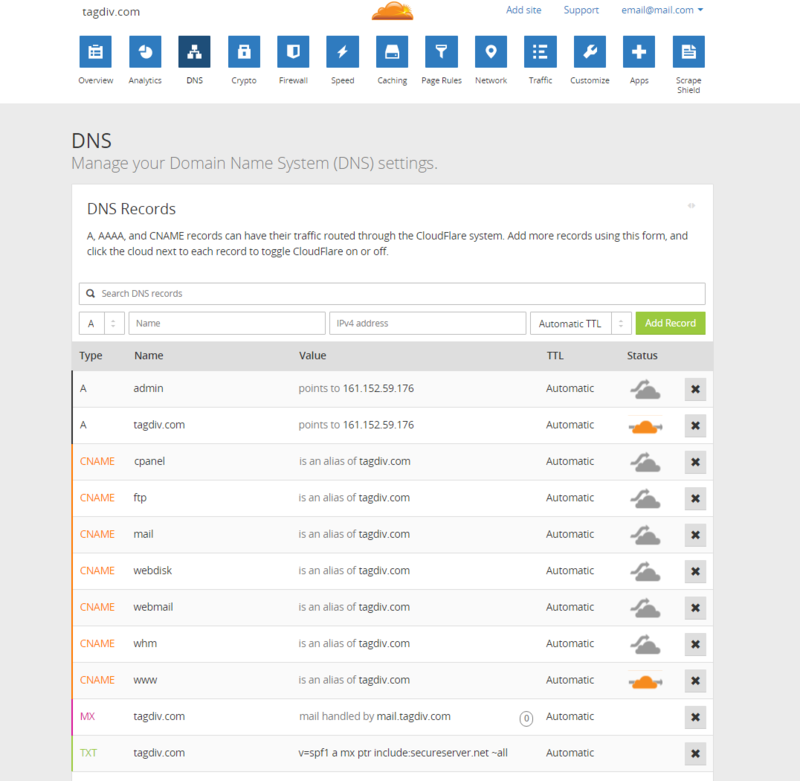 The rest of the settings are left to default, you can explore the Cloudflare documentation for more details about each area.